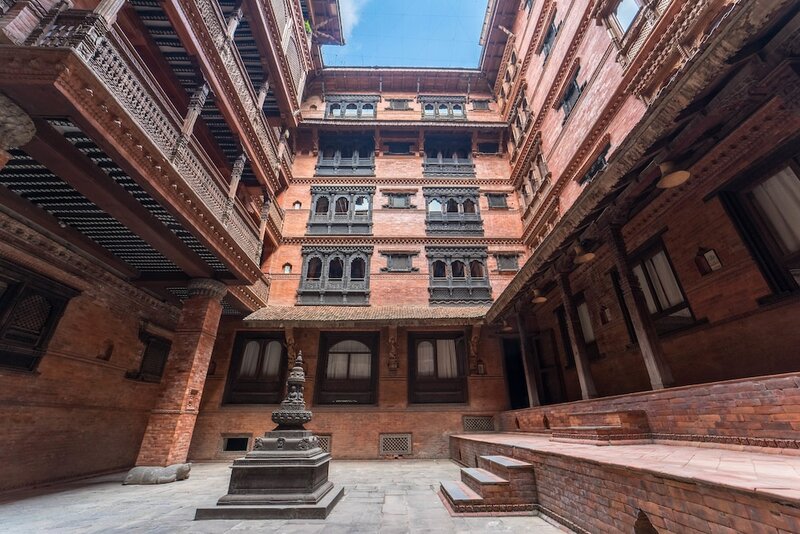 Located in Thamel, this hotel is within a 15-minute walk of Garden of Dreams and Kathmandu Durbar Square. Pashupatinath Temple is 2.6 mi (4.2 km) away. This hotel features a restaurant, a bar/lounge, and a rooftop terrace. Self parking is free. Additionally, dry cleaning, laundry facilities, and a 24-hour front desk are onsite. All 42 rooms provide free WiFi, room service, and rainfall showerheads. Other amenities available to guests include free newspapers, free local calls, and free bottled water. The hotel offers a restaurant. A bar/lounge is on site where guests can unwind with a drink. For a surcharge, a roundtrip airport shuttle (available on request) is offered to guests. This Kathmandu hotel also offers a rooftop terrace, tour/ticket assistance, and barbecue grills. Onsite self parking is complimentary. Hotel Restaurant - Overlooking the garden, this restaurant specializes in local cuisine and serves breakfast only. Guests can enjoy drinks at the bar. This property offers transfers from the airport (surcharges may apply). Guests must contact the property with arrival details 48 hours prior to arrival, using the contact information on the booking confirmation. No pets and no service animals are allowed at this property.